New fence and sun going up! Photo by installer Tim Jantz of TNT Fence. Install will be 4,000 feet of our 4-rail texture-black Steel Board Fence in Louisburg, Kansas, USA. 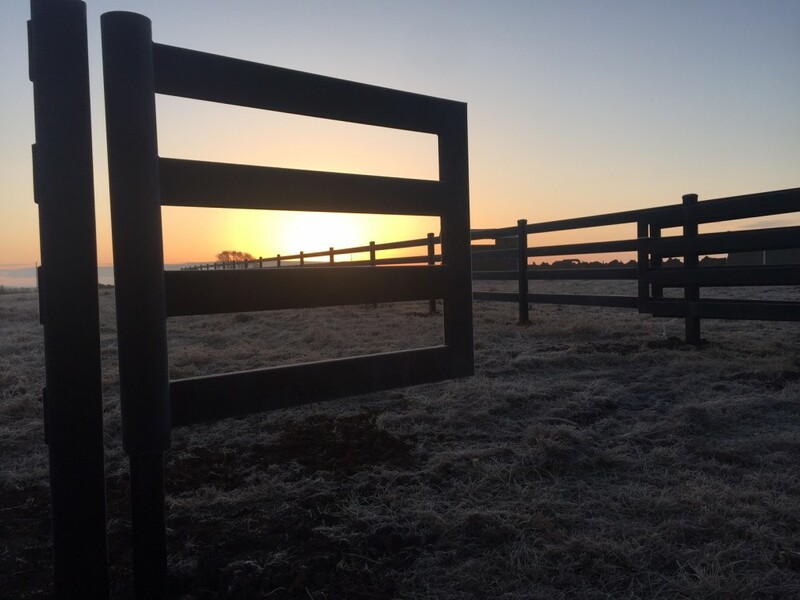 This entry was posted in Blog and tagged black fence, Buckley Fence, fence, horse fence, kansas, louisburg, steel board. Bookmark the permalink.